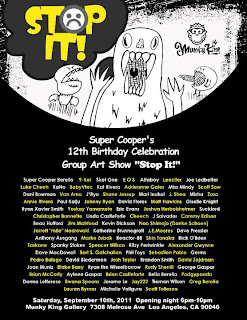 EVENT-PRESS: Cooper Berella (aka SuperCooper), a 12 year old artist, art collector, and supportive member of the art community, is curating his second art show at Munky King Gallery in Los Angeles. 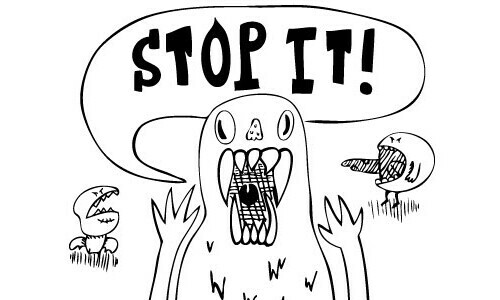 "Stop It!" opens on Saturday, September 10th, 2011 from 6pm-10pm. The theme of the show is meant to draw awareness to bullying and cyberbullying. 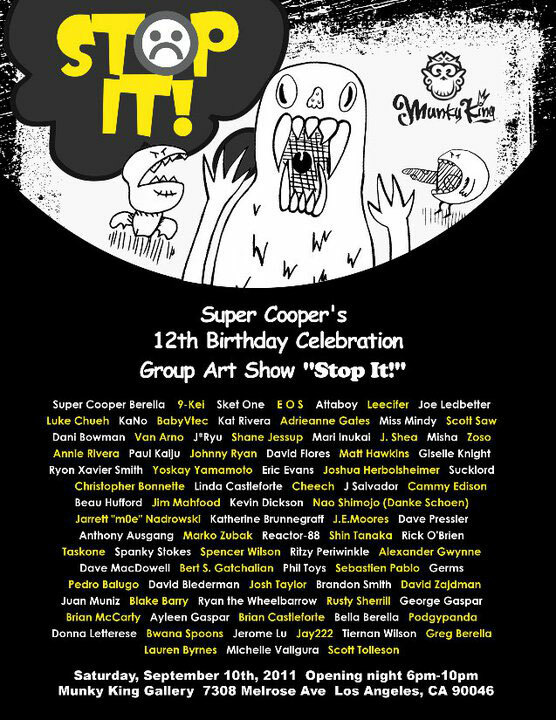 Cooper has confirmed over 70 artists from around the world to participate in the show. 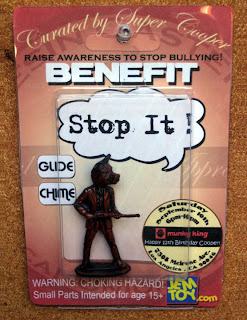 Paintings, drawings, custom toys, and prints expressing the artists' view of bullying will be on display. Part of the proceeds from the show will be donated to GLIDE (Gays and Lesbians Initiating a Dialog for Equality) and CHIME Institute (an organization dedicated to inclusive education where kids of all abilities learn together). Artwork will be displayed at the Munky King Gallery in Los Angeles. Check out the artists involved in the flyer above, or make your way to this page for artist-list. As well posted here is a blister-carded toy (a cowboy with a pig head) made by J.E. Moores for the show. SuperCooper will also be celebrating his 12th birthday at the event! How cool is that?